We are delighted to invite you to the Thames Valley International China Event. We are delighted to invite you to the Thames Valley International China event on 24th May at The Gateway Building, Reading. The China event is a great opportunity for the owners and leaders of exporting businesses to meet, and understand more about China and how to work with other businesses in China. Past events have been well attended and received excellent feedback. We are delighted to confirm that Dr Kegang Wu, Thames Valley Chamber of Commerce will be our first speaker and will provide a China market update highlighting recent market changes as a result of the economic rebalancing in the last few years. He will also inform new challenge and opportunities for British companies, which has will result from new policies introduced, further opening-up of sectors and new initiatives. He will cover what business support and service in the 21 cities and the Guangdong Province. Kegang will be happy to take questions including those on the Belt & Road Initiative, the view of Chinese investors on Brexit, Guangdong’s Free Trade Zones and the Greater Bay Area strategy, and other market priorities announced. Details of incoming Guangdong Forum event, Chinese trade delegations and organised trade visits to Guangdong will be available. Dr. Kegang Wu specialises on the China market for the last two decades in the UK with a track record of helping British SMEs across sectors. He advises on strategy, trade and investment promotion, contract negotiation and cross-cultural issues in partnership. In recent years he has been focusing on linking the UK with China’s most prosperous region Guangdong Province and its 21 cities, for which He is responsible for the China-Guangdong Economic and Trade Office in the UK (中国广东省驻英国经贸代表处). He also runs BCC LinkToChina (英国英中商会) and the China Desk of Thames Valley Chamber of Commerce (泰晤士谷商会). Bilingual in Chinese and English, he has travelled over 80 times to China over the years and guided hundreds of British companies in China market, and more recently Chinese companies in the UK. Kegang obtained his PhD in Geography from King’s College London. Our second speaker is James Hardy, Chief Executive of Avenue51, which is a business takes British brands into China via e-commerce channels. James was formerly Head of Alibaba in Europe. He was based in San Francisco for 10 years and Sydney for 3 years, and was formerly general counsel of the world’s largest technology communications agency, managing acquisitions and operations in the US, Europe, India and China. He holds an MBA from Melbourne Business School and is a UK qualified solicitor. Parking is available for all visitors. The International Event is supported by Barclays Bank, Thames Valley Chamber of Commerce and Avenue51. This business seminar and reception has been organised for the visit of a senior group of Chinese delegates consisting of Vice-Mayors or senior officials of 12 Chinese cities and Deputy Commissioners or heads of departments from 12 functional/sector provincial authorities of the Guangdong Province, China. (see the attached 20170727 Guangdong – Seminar speakers and government delegates-V6). The keynote speaker is Mr. Zehua Lai, Leader of Zhaoqing City Government and Head of the delegation, who will be speaking about the opportunities of doing business in Guangdong in particularly using the City of Zhaoqing and the green, recycling and low carbon sectors as case studies. Mr Lai has thirty years of Chinese government experience at levels district, county, city and central government after obtaining his law degree. His range of experience covers market reform, economic development, high-tech development park, district governor, city mayor and central government department on price reform. Most of his work have been in the City of Heyuan and since 2015 the City of Zhaoqing where he is leading a number of initiatives to make Zhaoqing one of the most business-friendly cities in Guangdong. Environment industry is one of the five sectors Zhaoqing aim to build a £1 billion industrial output (see the attached 2016 Zhaoqing Environmental Industrial Parks). 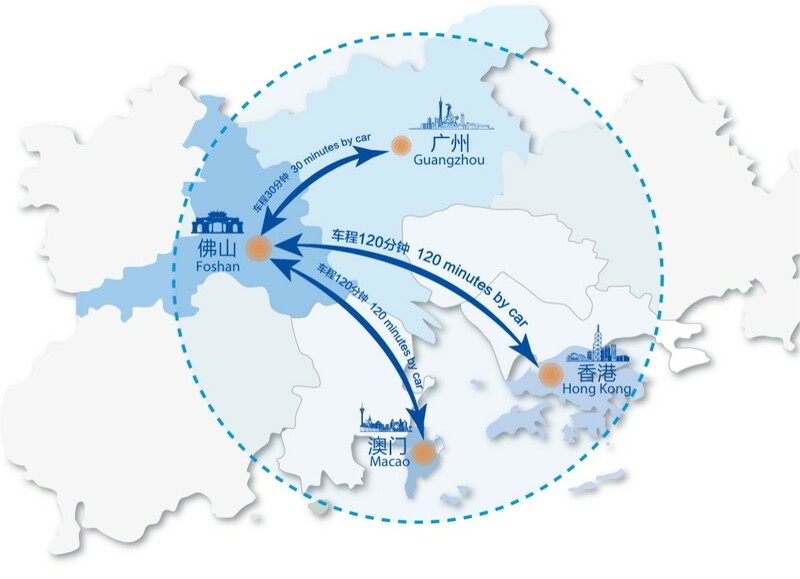 As the hub of world manufacturing, China’s leading region in technology and enterprising, and a global trade & investment centre, Guangdong has been, in the last four decades, the Chinese economic power house where the Belt and Road Initiatives and the new strategy for a Greater Bay Area of Guangdong-Hong Kong-Macao is overlapped to promise much future opportunities (see ‘1705 About Guangdong China 2017’ for details). The 35-member strong group is visiting the UK to explore on the new development models of green, recycling and low carbon economies, although the group collectively covers government departments responsive for land resources, environmental protection, housing, urban and rural development, forest protection, industry and commerce administration, fisheries, food and drug administration, maritime education, health and safety and agriculture. The seminar will be most suitable for British companies from all sectors above which is interested in China market and well as those in green energy, recycling and low carbon sectors. The seminar and reception is free and we have only 35 places for the UK attendees. Registered interest for a place will be confirmed by a formal invitation via email. Easthampstead Park Conference Centre, Peacock Lane, Bracknell, RG403DF. Lighting, FMCG, textiles, ceramic products, building decoration, fur and leather products, household items, electronic and hardware, foods and wines, electric appliances, and porcelain machinery, etc. There are also companies in IT products, real estate development, construction, building material, and porcelain manufacturing. There is also a OEM. The group is organised by the official chamber of commerce in Foshan – Foshan CCPIT and recommended by the China Guangdong Economic and Trade Office in the UK. Bracknell Forest Council, Thames Valley Chamber of Commerce, and BCC LinkToChina are co-hosting this seminar with CCPIT Foshan to afford this opportunity for local British companies to meet the group. There will be a number of presentations on the business opportunities of the City of Foshan, Bracknell and the Thames Valley Chamber’s Go Global initiative. Foshan, located in the western suburb of Guangzhou (Canton), is at the heart of the famous ‘World Factory’ of Pearl River Delta area and one of the key prefecture-cites of Guangdong Province. It is known for its strong manufacturing in sectors such as household, electrical appliance, tool manufacturing, furniture, electronics and communications, stainless steel products, and ceramics. The Foshan Government will make presentations on the economic and investment opportunities in a city that is ranked 15th in China 3rd in Guangdong and on the International Internet+ Expo. 09:30 Arrive and registration at Easthampstead Park Conference Centre, Bracknell Forest, Berkshire.